Reforms in Ukrainian criminal legislation, the decisive point of which was adoption of the new Criminal Procedural Code of Ukraine in 2012 (the CPC), continued in 2013 as well. Among other significant reforms in the previous year, introduction of the new regulation, namely special confiscation, in the Criminal Code of Ukraine (the CC) started from 16 December 2013 should be pointed out. It is not similar to regular confiscation of property, which is an additional criminal penalty and covers only property owned by the accused person. Unlike confiscation of property, special confiscation is of another legal nature and is aimed at forfeiture of the means and instruments of offence, illicit traffic items obtained at the results of property offence, etc. Pursuant to part 1, Article 96-2 of the CC special confiscation shall be applicable in case when money, things of value and other property (1) are obtained as the result of committing an offence and/or are revenues from such an offence; (2) are aimed (used) at inducing a person to commit an offence, financing and/or providing material security of an offence or reward for its commitment; (3) that were targets of crime besides those that should be returned to the owner (legal owner); (4) were found, produced, fitted or used as means or instruments of offence, besides those that should be returned to the owner (legal owner), who did not know and could not know about their illegal usage. When money or property subject to special confiscation have been reorganized into other property, such reorganized property or monetary equivalent are subject to it. Within the special confiscation procedure property and monetary funds may be taken away not only from person committed an offence, but from any other person in whose ownership or possession they are. The exception is owners in good faith who did not know about illegal origin and/or usage of property that was in their ownership (part 10 of Article 100 of the CPC). According to the general regulation, all monetary funds and property subject to special confiscation are transferred into state ownership. When at the result of committing offence the victim or civil plaintiff suffered damages, they shall be recovered to the stated persons at the expense of other property of the accused person. In case of absence or lack of property of the accused person the damages shall be recovered by means of sale of the confiscated property. Funds that remain after the confiscated property was sold should be transferred into state ownership. Pursuant to Article 96-1 of the CC, special confiscation applies in cases stipulated by the Special part of the CC. The acting CC provides special confiscation only for committing a number of business crimes specified in the Chapter XVII of the Special part of the CC. In particular, currently special confiscation is applied in case of abuse of authority or official position by the officials (Article 364), forgery (Article 366), an official obtaining an improper advantage (Articles 368, 368-2), providing official or third party with improper advantage (Article 369) and improper influence (Article 369-2). Therewith, due to the fact that special confiscation as a criminal regulation was implemented in Ukrainian legislation not so long ago, the extension of the area of its application as well as to other offences provided by the Special part of the CC should not be excluded in the near future. Having introduced special confiscation, the respective amendments related to grounds and procedure of its implementation were made to the CPC as well. First of all, point 6 p. 1 of Article 91 of the CPC stipulates that the responsibility of the accusing party includes disclosure of money, things of value and other property subject to special confiscation. According to Article 168 of the CPC, property subject to special confiscation is temporarily taken away from the person. An investigator or prosecutor should apply to the investigating judge with a request to arrest property not later than the next business day after the day it was taken away. The investigating judge renders a decision to arrest temporary confiscated property not later than seventy two hours after the day when the court obtains the request, otherwise such property returns to the person from whom it was confiscated. The arrest of property may be rejected if it was groundless. The final decision related to the arrested property subject to special confiscation should be rendered simultaneously with the decision on criminal proceedings. 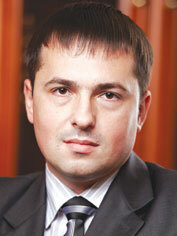 The new regulations in Ukrainian criminal law are expected in the current year as well. Thus, the On Entering Amendments to Certain Legislative Acts of Ukraine On Implementation of the European Union Visa Liberalization Action Plan for Ukraine Related to Legal Entities Liability Act of Ukraine of 23 May 2013 comes into force on 1 September 2014. This Act provides application of criminal measures to legal entities in the form of penalty, confiscation of property or liquidation. The grounds for such measures is committing any offence provided by Article 209 (money laundering), Artic- le 306 (application of funds gained at the result of illegal distribution of narcotic drugs), part 1, part 2 of Article 368-3, part 1, part 2 of Article 368-4, Articles 369, 369-2 (offences connected with bribery), or any other offence provided by Articles 258-258-5 of the CC (offences connected with terrorist activity) by the authorized person of the legal entity for and on its behalf irrespective of the legal entity’s interests. Liquidation of a legal entity with confiscation of its property into state ownership is applied in case of committing offence related to terrorism by the authorized person. In all the other cases stated above the penalty is imposed on a legal entity. The penalty size depends on the degree of offence committed by the authorized person of the legal entity. It may amount from five thousand to seventy-five thousands of non-taxable minimum incomes of citizens (UAH 85.000 — 1.275 million). Criminal proceedings related to a legal entity are carried out simultaneously with criminal proceedings related to its authorized person. Data on a legal entity are entered into the Single register of pre-trial investigation without any further delay after serving a notice on suspicion in committing offence to the authorized person of legal entity. During the pre-trial investigation and proceedings the legal entity may be represented by (1) a solicitor; (2) a director or another authorized by the law or statutory documents person; (3) an employee of legal entity on the basis of the power of attorney. The representative of the legal entity participates in the criminal proceedings on equal terms with its other participants (suspect, victim, civil plaintiff, civil defendant). The representative of the legal entity should not be a witness on circumstances that became known to him due to fulfilling his duties. The representative of the legal entity should be aware of criminal offence after commitment of which the criminal proceedings occurred and make statements in this regard; use legal assistance; collect and present evidence; take part in proceedings, etc. Pursuant to Article 93 of the CPC in order to protect a legal entity’s interests its representative is enable to request copies of documents, statements, reports by experts, auditing reports, reconciliation reports from state authorities, local authorities, enterprises, institutions, officials and individuals. Moreover, he is able to initiate investigation and search actions that apply to the respective request to the investigator or prosecutor who is liable to consider such a request within three days of its receipt. If a representative of a legal entity was rejected in the request on the performance of investigating (search) actions he should apply to an investigating judge with an appeal. The representative of a legal entity also enjoys the right to obtain from the participants of the criminal proceedings and other entities statements subject to their consent. During a pre-trial investigation he is also enable to review materials collected by the accused party. After the court investigation is completed the representative of the legal entity is provided with all case materials with the possibility of making copies of them. The decision on criminal proceedings related to legal entity on the stage of pre-trial investigation may be taken by the prosecutor, during court proceedings if taken by the court. The prosecutor may adopt a resolution on closing proceedings related to a legal entity when: (1) the criminal proceedings related to representative of legal entity suspected in committing an offence was closed; (2) lack of grounds to apply criminal regulations to legal entity (for example, the offence committed by its authorized person was not for or on behalf of this legal entity). The criminal proceedings related to a legal entity are closed by the court when: (1) a verdict of not guilty was rendered to the authorized person of the legal entity; (2) a guilty verdict was rendered but the court determined lack of grounds to apply criminal regulations to a legal entity. In case of rendering a guilty verdict as to the authorized person of a legal entity, when it was proved that this person acted for and on behalf of it, the court applies criminal regulations to the legal entity. Amendments introduced related to extending criminal liability for legal entities and applying special confiscation are innovations in Ukrainian criminal legislation. The stated criminal regulations are covering a limited number of articles of the CC so far, although they may be applied to offences in the field of economy. Thus, among offences the commitment of which involves liability of legal entity, the most similar to business ones are articles of the CC related to money laundering (Article 209 of the CC) as well as corrupt offences (offences related to kickbacks) (Articles 368-3, 368-4, 369, 369-2 of the CC). As for applying special confiscation in case of committing economic crimes, such a regulation may be applied in case of committing offences related to kickbacks (Articles 369, 369-2 of CC). It is obvious that the introduction of such amendments to Ukrainian criminal legislation was not really necessary. They were introduced due to adaptation of national legislation to international provisions in terms of Ukraine’s European integration. So, the establishment of these innovations and their further development depend on their effectiveness and the need for their practical application.